During the month of June the Highland Art Center is alive with color and light. Pairing the deeply saturated photography of Michele James with a collection of new glass pieces by Michael Hopko, this stunning exhibit will transport you to watery woodlands and wild west wildernesses. 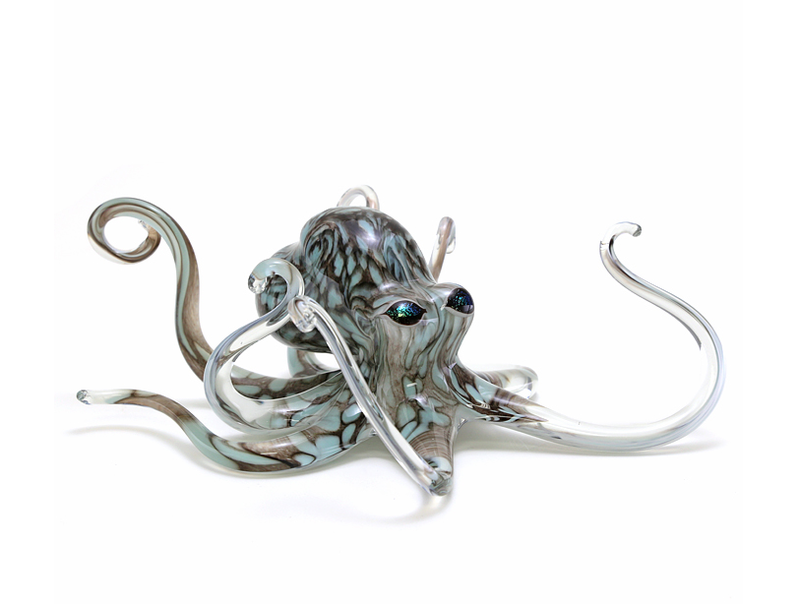 Local legend Michael Hopko has long been recognized both nationally and internationally for his colorful octopus, fish, and most recently for his amazing Sea Turtles with dichroic glass shells. Michael gains inspiration by reconnecting with nature; particularly through fishing the local rivers and oceans or bike riding to a local vista just to enjoy the view. His glass pieces reflect a keen eye and extraordinary skill as he recreates life-like realism in glass. Michele James and Michael Steineke of Michele James Photography share that same enthusiasm for exploring the outdoors and ability to capture its splendor. Passionate travelers, they aim to fill their lives with as many adventures as possible; and through their photography, instill that sense of curiosity about nature in others. These 3 award winning artists have come together to present a truly magical exhibit you won’t want to miss. Join us June 2nd from 5-8pm for the opening reception, or during normal business hours daily (excluding Tuesdays) through June 30th. We also invite you to join us June 16th for the Art in the Alps: Ceramic and Glass festival where Michael Hopko will be giving a presentation regarding his work and process. We will also be holding a reception that evening from 5-8pm. Visit our website www.highlandartcenter.org or call the gallery at 530-623-5111 for more information.